My first cabled yarn is done! It did take a while, as I anticipated, but I like the finished product. You’ll remember from an earlier post that I had already spun a two-ply yarn that I intended to ply again with another two-ply yarn for a total of four plies. 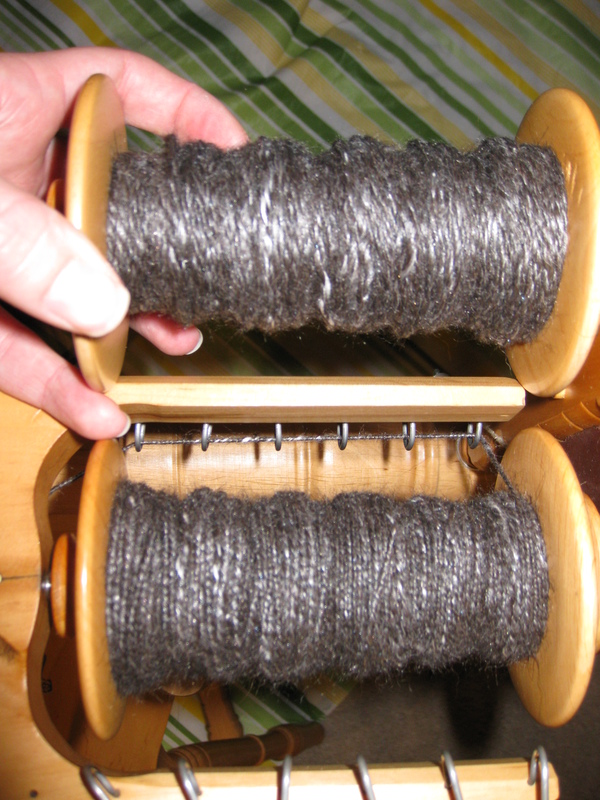 Before I could do that, I had to send the yarn through the wheel again, so that it had enough twist. 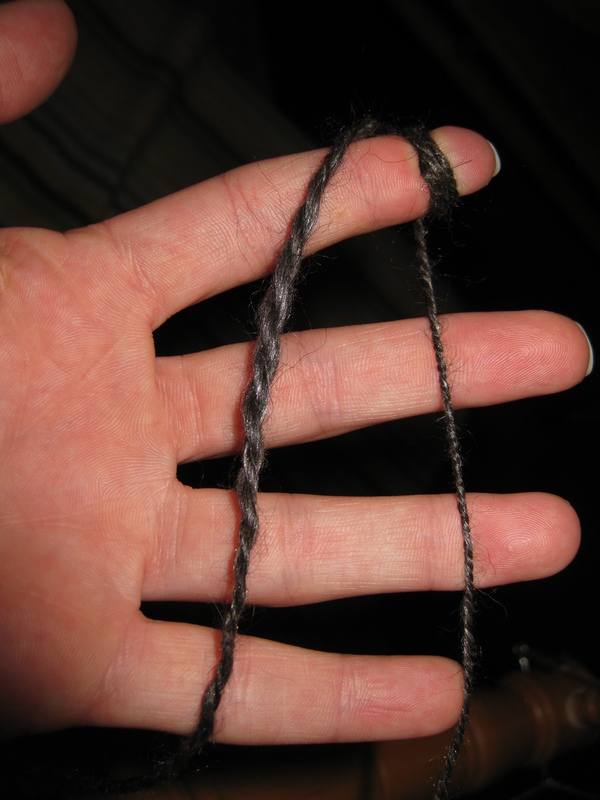 A funny thing happens when you re-twist an already finished yarn. 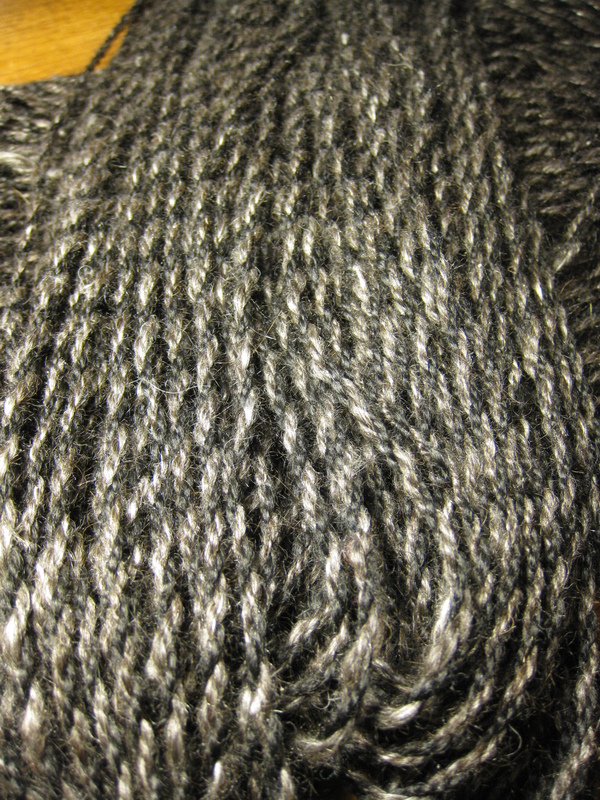 In each picture, the yarn on the left is the finished yarn, before I added more twist. On the right is the same yarn, after I have added twist. 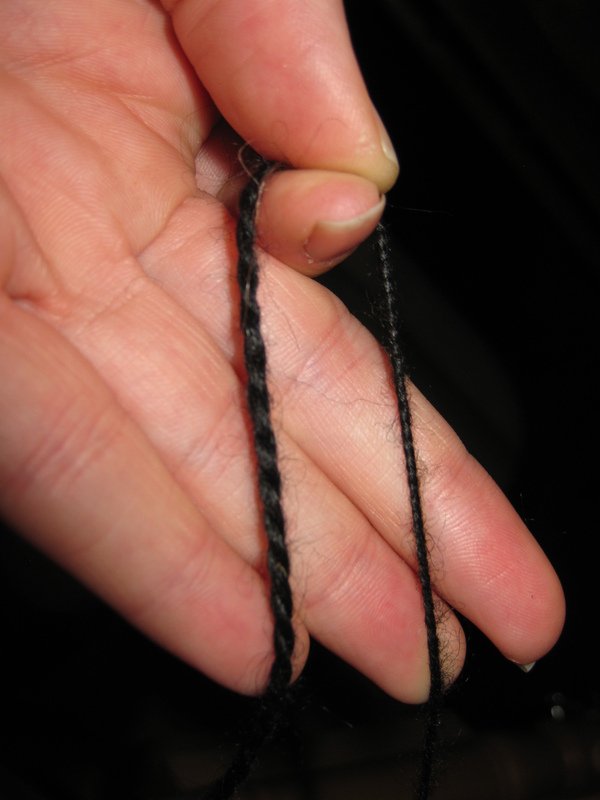 The extra twist dramatically alters the yarn. Not only does it twist up on itself like a single would, it has a much smaller diameter and much less loft. The yarn holds that almost beaded texture, even after you ply the two over-twisted yarns together to get the finished product. It’s official: I love cabled yarns. They have a lovely roundness and very clean lines. I can’t wait to see what it looks like in a knitted item! This entry was posted in fiber art and tagged art yarn, cabled yarn, cables, handspinning, handspun, plying, spinning, yarn. Bookmark the permalink. 2 Responses to Cabled yarn: complete! Yeah, something to show off the yarn would make a good finished product. Hmm hmm.